This page outlines what to expect when air shipping goats around the USA. *2 Young Kids can usually fit in 1 kennel. First off, you will need an AIRLINE APPROVED Kennel. 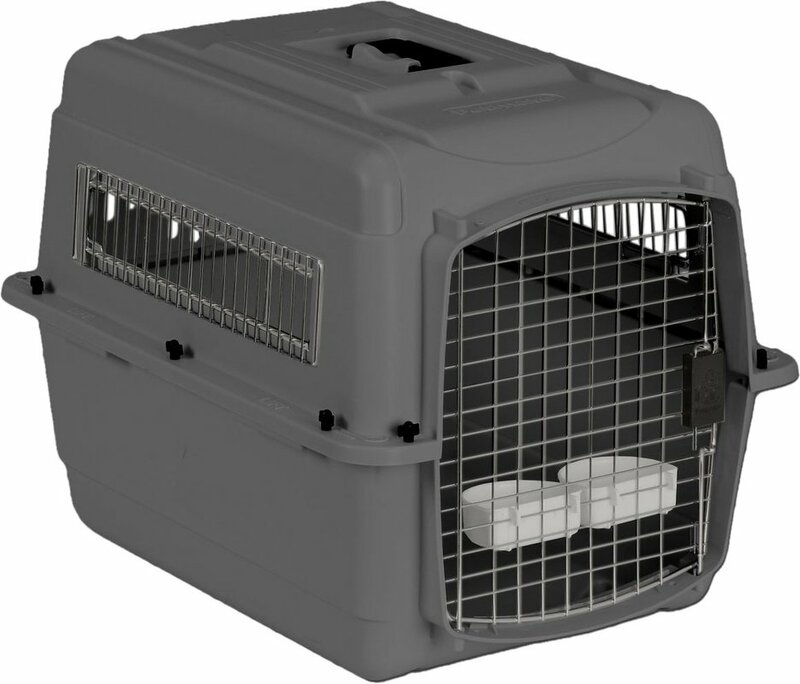 Most of the time the "Intermediate" (32 x 22.5 x 24 inches) kennel is appropriate. The airlines are VERY PICKY about the size of the kennel. They will tell you the animal needs 1" - 3" of space ABOVE the ears! If the ears touch the top of the kennel they will reject the shipment. Typically, one 20 lb kid or two 10 lb kids fit well in an Intermediate size kennel. You will likely need to buy the kennel and have it shipped to the seller of the kid. I personally prefer Chewy.com for kennels. They have super fast 1-2 day shipping and outstanding customer service. 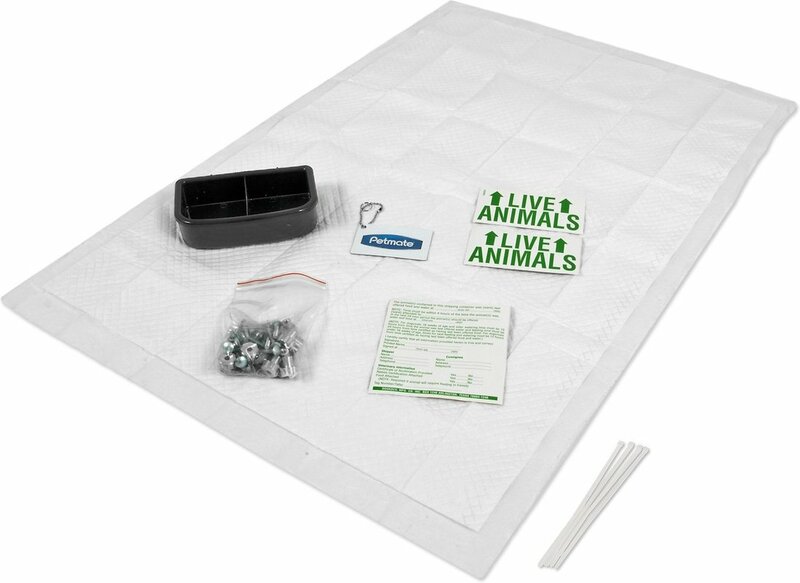 While you are ordering for Chewy.com add on the DELUXE TRAVEL KIT to your order. Also, the airlines will not accept kennels as they are. They all come with plastic pegs for securing the screws. These MUST be replaced to metal. This kit includes the metal screws and pegs. Yes, I know, the food/water dish is small. Airlines require 2 EMPTY food/water bowls to be attached to the kennel. Notice I said EMPTY? We are not allowed to put food or water in the kennel when we drop them off. We attach food to the outside of the kennel. The AIRLINES will feed/water them ONLY if they are delayed or have a lay over. Otherwise, they will not give them anything. They STILL require the dish to be in the kennel.